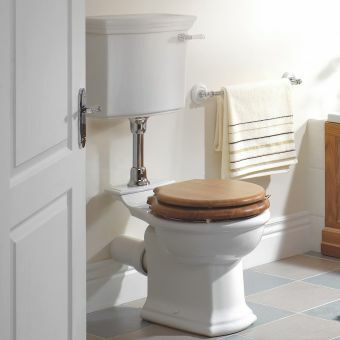 Makeover a bathroom with the Burlington low level WC push button. 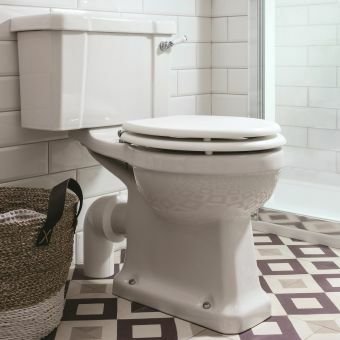 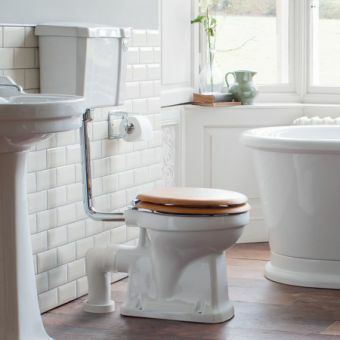 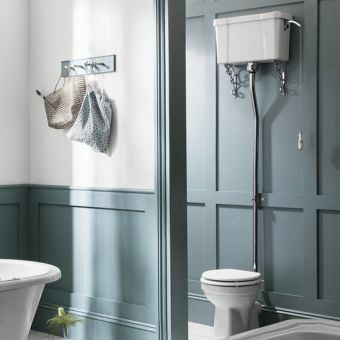 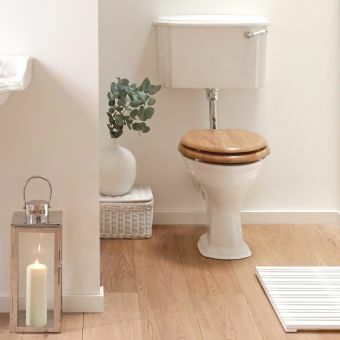 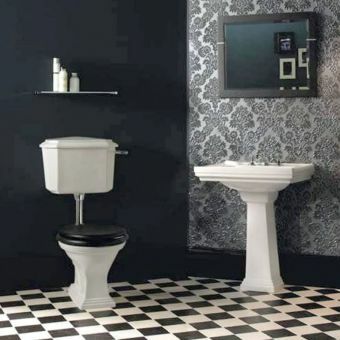 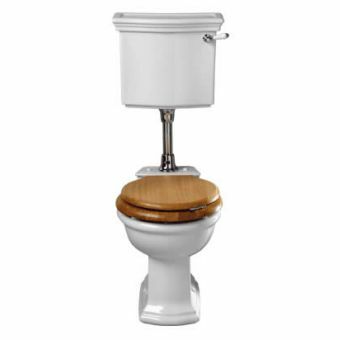 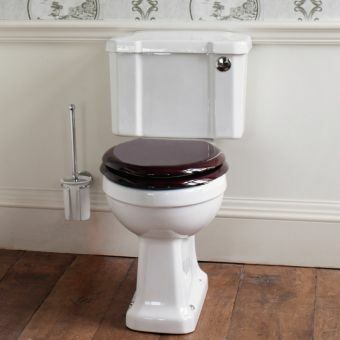 This Burlington push button toilet suite features a dual flush push button mechanism giving it all the conveniences of today but in a period style design. 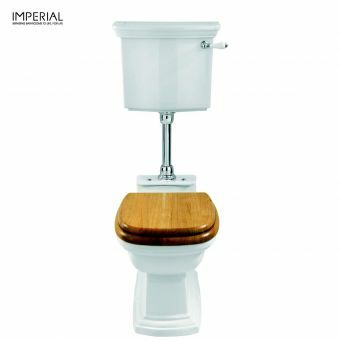 At 1100(h) X 510/440(w) X 740(d)mm in size it is an excellent choice for both small and large bathrooms. 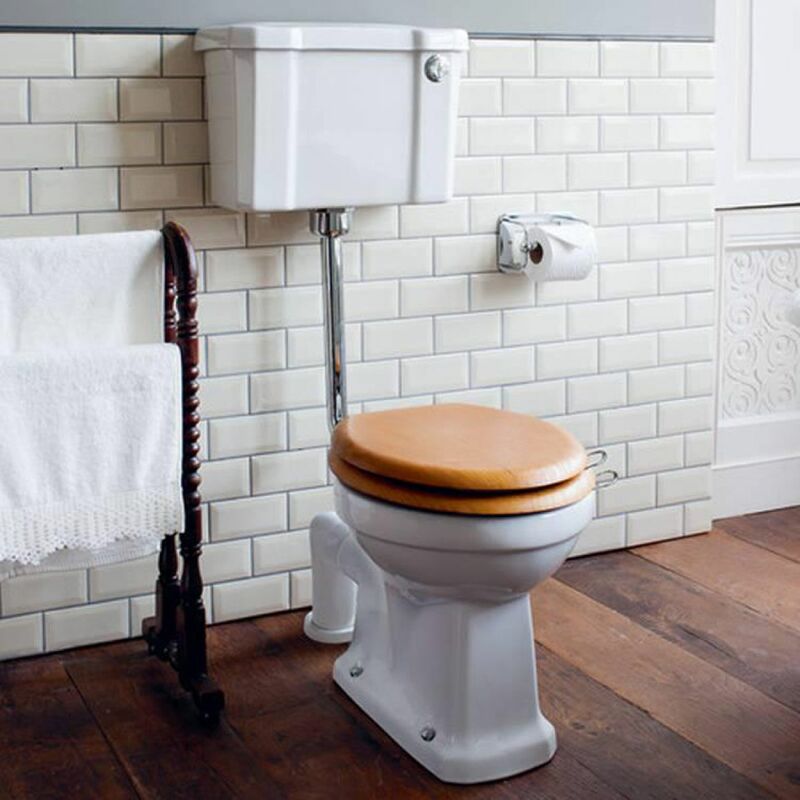 Shoppers will appreciate being able to pick from a variety of seat colours including a rustic mahogany colour. 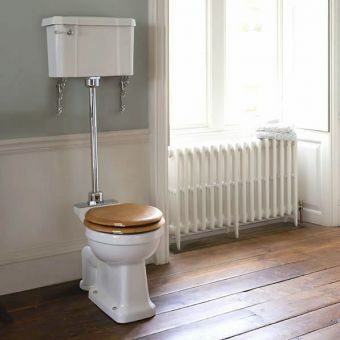 There is a chrome plated downpipe and a standard soft close seat. 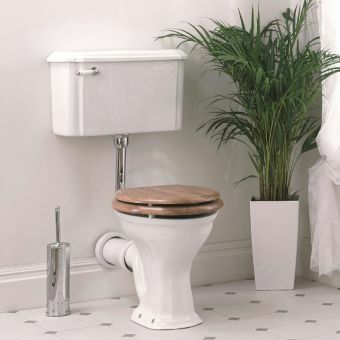 Slipping is prevented thanks to the chrome brass flush pipe nut cover with internal thread. 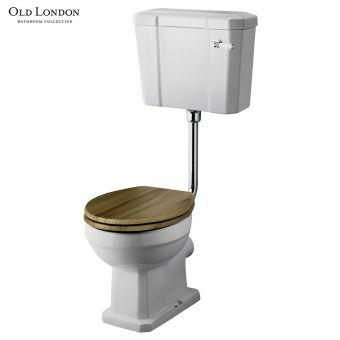 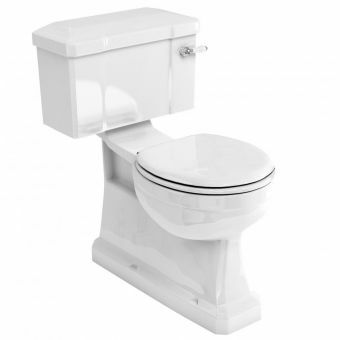 The Burlington low level push button toilet suite includes all the mounted hardware promising for easy installation.